Wedgewood Villas is located in central Gulf Shores, AL on the corner of West 3rd St and Clubhouse Dr. This low-density complex is comprised of just 8 units offering private surroundings with mature oak trees and onsite tennis courts. Wedgewood Villas are available in 2 bedroom/2 bath or 3 bedroom/ 2 bath layouts with an approximate living space of 1,200 square feet. 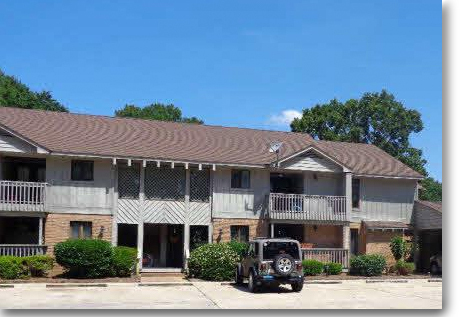 These condos offer convenient access to numerous area attractions and walking distance to Gulf Shores city park, recreation center, library, and Gulf Shores Golf Club. For a more comprehensive collection of information, view condos for sale in Gulf Shores, AL with each and every condominium in the entire city along with helpful links, aerial imagery, interactive maps, revenue info and other helpful sales info. Please let us know if you would like further info for Wedgewood Villas or any other condos, homes or real estate along the Gulf Coast or would like to schedule a private viewing by emailing info@condoinvestment.comor by calling (251) Area-Pro (251-273-2776) for immediate assistance. Similar condos in Gulf Shores, AL consist of apartments. There are several apartment / condos that fall in the sane price category and have a similar list of amenities. Wedgewood Villas offer another great benefit in its location. Wedgewood Villas sit across the street from the Gulf Shores Police Station. On Clubhouse Dr., Wedgewood Villas is approximately 5 minutes from the beaches. For more info on similar condos, visit our info for Gulf Shores condos for sale.